The chappa (cymbals) that Kodo uses on stage are an original design that emerged from a collaboration between craftsmen and Kodo performers. Both parties honed the cymbals through trial and error, paying careful attention to details such as the materials, thickness, shape, and rings. The other day, we paid a visit to these chappa craftsmen. When we arrived at their workshop, we found them hard at work. 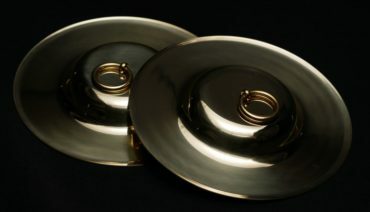 They shape each round flat metal plate into a precious cymbal by hand, one at a time. One of the processes they use is metal spinning, where they spin the metal and press down on it firmly with a rod to shape it. This technique allows them to process the metal so there is no unevenness in the thickness of the plate. 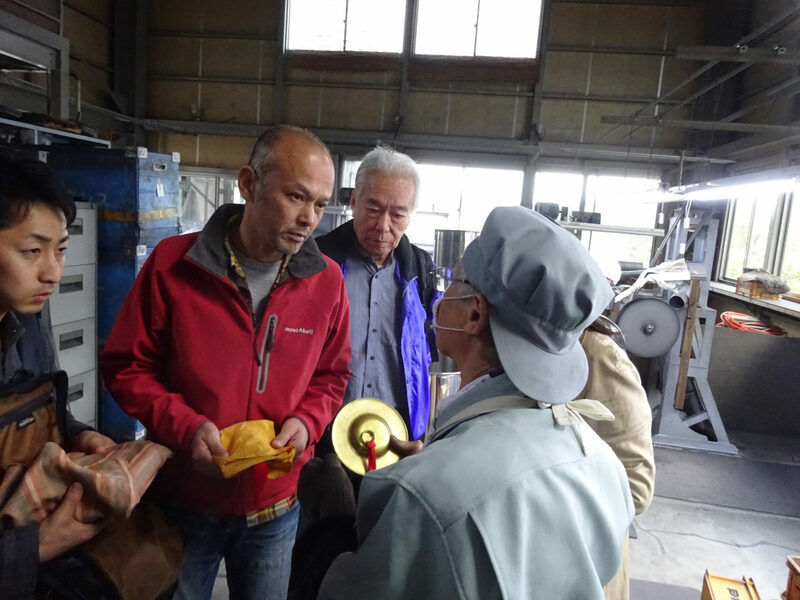 Once the metal is shaped, they take it to their polishing workshop. They beautifully polish the cymbal, then attach a seamless metal ring, which is carved from a metal rod. Then the cymbal is ready for the Kodo stage, or for sale to the public. When I met the craftsmen in person, I really felt their enthusiasm. 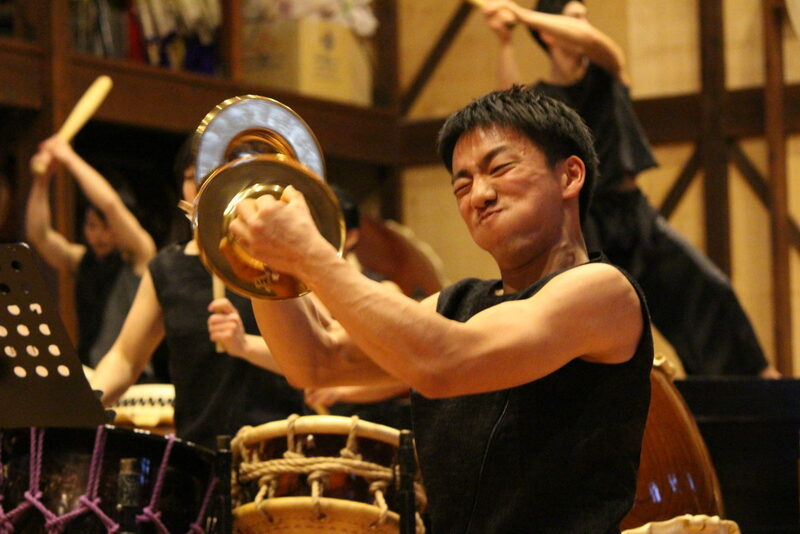 I felt the same enthusiasm and energy we have as performers, both when we create a performance and when we play taiko. It’s all about making something good. Doing the best work you can do. Thinking about how to make something even better this time around. 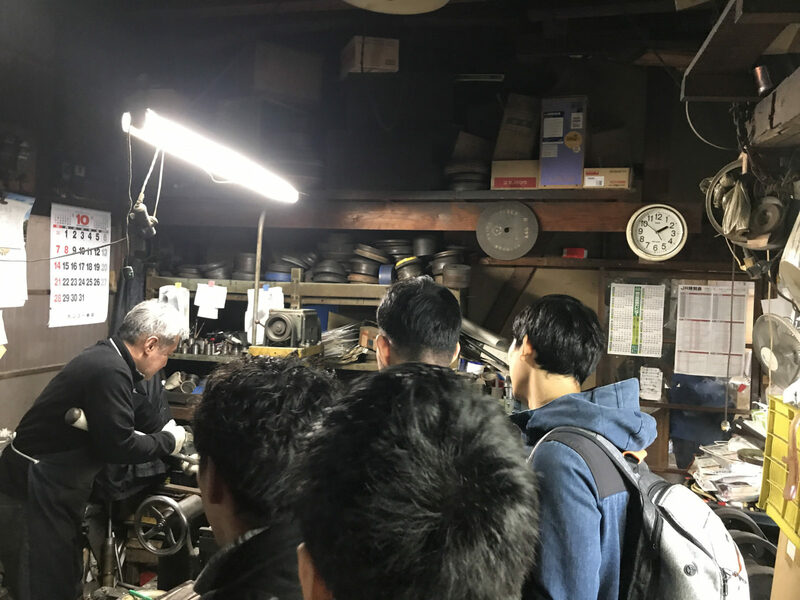 This visit to the cymbal workshop made us vow to do our very best to create good sound with the chappa. We’ll keep doing our very best, just like the craftsmen.